Hialeah Accounting reasons Hire. It will save you time and money. Hialeah Accounting: Did you know that booking will cost you time money? If not done you will not know what your bottom line it. When the owner tries to do him, therefore, it will cost him time and money. 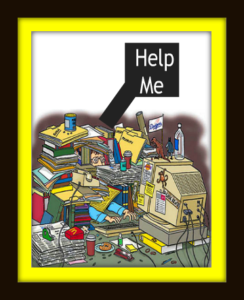 Is your paperwork in your office finances piled high your desk? Worse put in files that are not in order. These are the signs that you could use an accountant or bookkeeper. You are the master of your field and go and do what you do best. Why are you taking time out of your business to do accounting? Need to spend more time in your business than in the office. A baker is good at baking. Why should he be spending time in the office doing using Quickbooks? Time in the office is costing opportunity cost and being more productive in his field. Now the baker will have more time to run the business. Hialeah Accountant is also going to show that you are spending more money when you do the accounting. They do not know the dates to file the correct tax forms. They could be to either the IRS or any state agency. When you file the forms late, and It will cost you money. Accountant services will put that money back in your pocket. I am going to give you an example that I see every day in my office. In Florida, you have to file your Corporate papers by April 28 and pay only $150. When you pay on May 1, the late charges will start. Fees for not filing on time starts at $550. Irs will also take a bite out of your wallet by filling late. Corporate tax return has to be filed by March 15. On March 16 they start to charge you $200 per month that you are late. Therefore accountant will put money in your pocket. Working with an accountant could put more money in your pocket hence you could avoid all of the late fees. They could have filed an extension to give you more time to file and avoid the fees. In conclusion, they will put more money in your pocket. Hialeah Accountant could be doing your bookkeeping. Owner of the business only task will be going over the income statement. An income statement is a form that explains the financial history of your company. It put all of your expenses in categories that the accountant will go over with you. Now you will have a picture of what your business expenses and income. You can now you can compare and contrast how to run your company. needs. The office is located at 1800 W 68 St Suite 118, Hialeah Florida 33014. This is especially relevant since you are getting advice from an experienced accountant. Our phone is 305-823-9228 and our fax number is 305-390-0941.